Over a month ago, I saw an advert on The Stylist magazine about a cupcake competition. The instructions were to create a cupcake made of a sponge cake base, frosting and decoration. The prize was what attracted me the most: if you were in the top 5 finalists, you won a Kitchenaid artisan mixer, a copy of the new Hummingbird Bakery cookbook and the chance to attend a baking masterclass. If you won, your cupcake would be sold in all the Hummingbird Bakery branches for 2 whole months. To be honest, it was mostly the masterclass that I wanted to attend. I wanted to attend classes so that I could improve my cupcake decorating skills. They also said that you would learn baking skills at the masterclass and I was definitely up for that! Any chance at increasing what I know about baking was a chance worth taking. I already have a Kenwood chef so getting a Kitchenaid mixer would have been a wonderful bonus. It was a cupcake challenge and I was definitely challenged! I sat down and started reading up on flavours and looked at recipes. I checked my baking notes and set about improving a cupcake recipe I already had. I also knew that I had to create a flavour profile that was consistent with every bake. So I tested and retested the recipe I had in my head and when I was happy with how the sponge tasted, I set about creating the frosting. And slowly but surely, the cupcake that I imagined became not only an idea but a real, live cupcake! I suppose I couldn’t have won the cupcake challenge because the brief was for the cupcake to embody Hummingbird Bakery’s American roots. I think I was missing the Philippines and missing Philippine mangoes too much that it came out in the cupcake I created! I called my cupcake Mango Love. 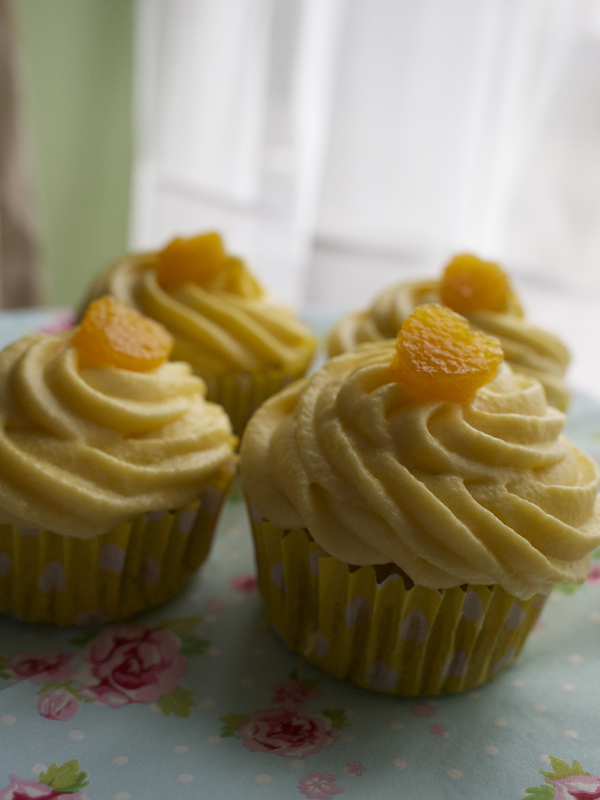 I said that the cupcake gave you a burst of tropical mango sunshine. And it did! I’m grateful for the experience, because it’s made me trust my baking instincts more. I’m more confident about my baking and I know that my goal is now to constantly improve my baking. This whole experience of putting together recipes and making sure the flavours were sound has encouraged me even more to bake and create. I’m thankful to Hummingbird Bakery and to Emerald Street for issuing the challenge. Even thought I didn’t win, when I look at the pictures I took of the cupcakes that I made, I still feel like, somehow, I won a prize.